Home/Uncategorized/WE ARE CELEBRATING OUR 25TH ANNIVERSARY! 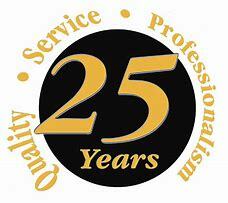 WE ARE EXCITED TO ANNOUNCE WE OUR CELEBRATING 25 YEARS IN BUSINESS THIS MONTH. WHAT STARTED AS A HOBBY WITH MY HUSBAND HAS GROWN INTO A BUSINESS THAT I HAVE ENJOYED BUILDING AND WORKING AT ALL HTESE YEARS. OVER THE YEARS WE HAVE MET ALOT OF AMAZING PEOPLE AND SEEN ALOT OF GREAT CORVETTES. WOULD LOVE TO HEAR FROM CUSTOMERS PAST AND PRESENT AND SHARE THEIR CORVETTES ON OUR WEBSITE TO CELBRATE OUR ANNIVERSARY. YOU CAN EMAIL ME YOUR PICS AND INFO. LETS GET THIS PARTY STARTED…. By Pamela Moroney|2019-04-02T15:36:30+00:00April 2nd, 2019|Uncategorized|Comments Off on WE ARE CELEBRATING OUR 25TH ANNIVERSARY! WE ARE OPEN THIS WEEKEND MARCH 23RD!